You’re the PanDominion’s greatest weapon. Join the elite hyper-tech agents of the galaxy's most secretive spy force: Intervention. This new supplement for High-Space - the fast, furious and fun far future setting for Savage Worlds - launches you into the shadowy world of sci-fi black ops. Blenders: these glanding-powered doppelgangers are masters of infiltration. Surveillans: injecting an entire culture's media to track down targets and change histories. Remoteorator: gamers of the future make it real with drone swarms. Space-Rogues: these wild wildcards should be in custody, but are put to better use (only once they've survived long enough). Synthforcers: these killer machines with remote brains can look like you and me... until it's too late. Cerebellum: no mortal hacker, but computational geniuses with hardwired genetically-modified brains. Plus there's new edges, new gear, starship templates and even four complete starship designs! 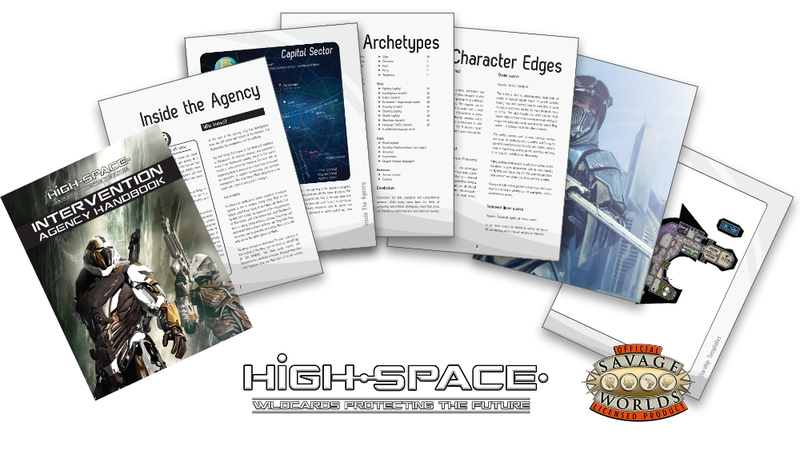 The follow up to the HUGELY POPULAR High-Space first edition! 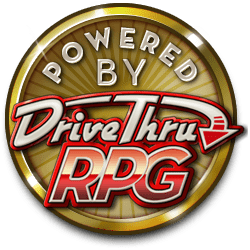 Will there be a PoD + PDF version? Hi. The pack includes PDFs in 300 printable scale. However, I can certainly make all the ships available for VTT at the standard 50 pixles per 5f square. I'll get right on to that now! That would be really great, Joe. I currently have zero interest in the tiles, but having the entire ship ready for VTT use would be fantastic. I have already outputted the tiles at 400 pixles and saved as JPGs, so you can mix and match these within your VTT with a 50 pixle grid snap. They would work la treat. However, I'll also output the ships as a whole (files may be a little large.) These will be uploaded shortly. I've just added two versions of each ship - one labelled and one unlabelled. These are PNG files at 50px per 5 foot step. All you need to do is load 'em up, and they should be scaled perfectly for your VTT software. Let me know how it goes. And a big THANK YOU for the request. We'll make this a standard offering for all new maps. Are the 148 pages of battle map tiles compatible with .vtt programs such as Roll20?